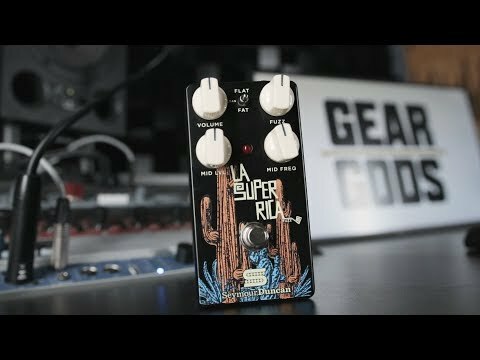 La Super Rica means “super rich”, and this silicon fuzz is just that. Inspired by iconic fuzz sounds, we built on the classic with a parametric midrange for maximum versatility. We started with our favorite silicon fuzz circuit – you know, the one used by all your favorite guitar players from the sixties and seventies – and set out to see if we could improve on the classic. First we brought it up to modern standards by adding a true-bypass switch, an LED and a standard 9v power connection. We also bumped up the overall volume of the pedal so that it would be easier to match levels with your amp and added a low-contour voicing switch with three settings – so whether you’re using single coils, humbuckers, or even a bass, La Super Rica can keep up. We could have stopped there, but we weren’t satisfied yet. What we wanted most was the ability to shape how La Super Rica sits in a mix. Many fuzz pedals don’t allow you to shape the mid-range, resulting in either a scooped sound that gets lost when you add bass and drums to the equation, or unpleasant frequencies that can lead to ear fatigue. So, after some pondering, we added a parametric mid-range control so you can dial in as much (or as little) of exactly the right frequency to fit your mix. The result is a super rich fuzz pedal that is as versatile as it is toneful – capable of reproducing the iconic sounds that inspired it, as well as a surprising array of other fuzz tones – from blues and psychedelic rock to desert rock and stoner metal. How you use it is up to you. Designed and made in the USA, La Super Rica continues our legacy of attention to detail and quality. 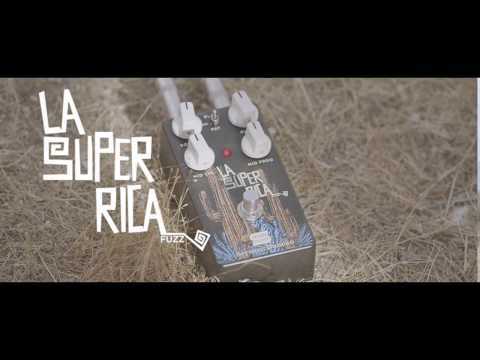 La Super Rica is a highly adjustable, silicon-based fuzz pedal for players who love classic fuzz tones, but need enough versatility to sculpt their own tone. 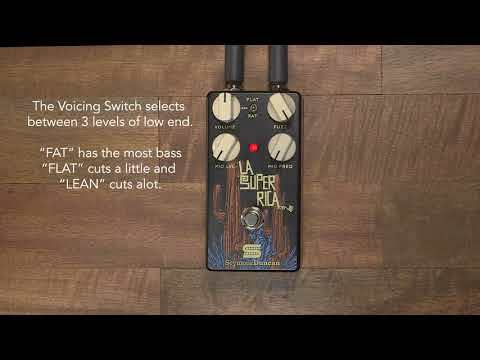 While many fuzz pedals can get lost in the mix or only work well with single coils or particular amps, La Super Rica’s tone shaping controls allow you to tailor your fuzz tones so they sound just as good no matter what you are playing. In addition to fuzz, there’s a semi-parametric EQ for controlling the midrange, and a three-position voicing switch for sculpting the low-end. 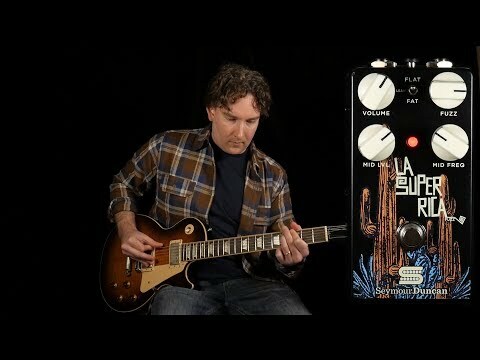 For this video we had Alastair Greene come by and re-record his song "I'm the Taker" from his new Album "Dream Train" He recorded the new version with his Les Paul loaded with Seymour Duncan Whole Lotta Humbucker pick ups straight into the La Super Rica fuzz pedal, PowerStage 170, into a Hughes and Kettner speaker cabinet. Alastair loved the pedal so much he left with it and put it into his current touring rig! 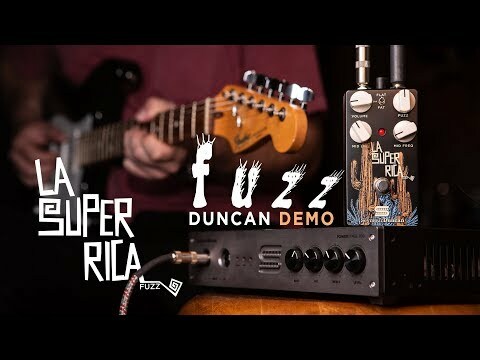 Tom Quayle reviews the latest in Seymour Duncan’s line of impressive stompboxes – the La Super Rica fuzz pedal. 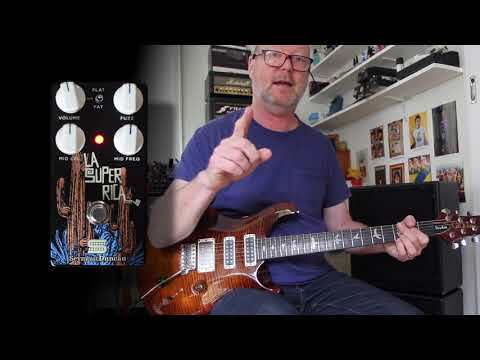 Trey takes the Seymour Duncan La Super Rica fuzz pedal for a spin! 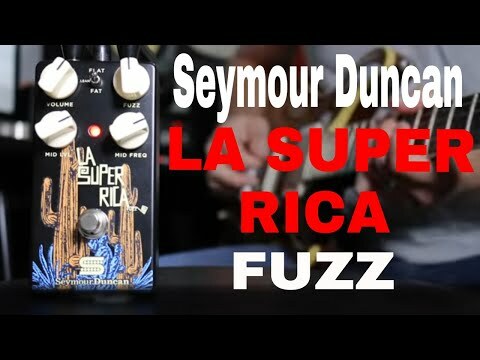 Seymour Duncan's La Super Rica is a rich silicon-based fuzz inspired by vintage high gain circuits, but looks to offer modern players the option to sit comfortably within the mix with the help of expanded mid-range capacities. Join Andy as he takes this pedal for a test drive. Super fuzzy, super rich and super cool. 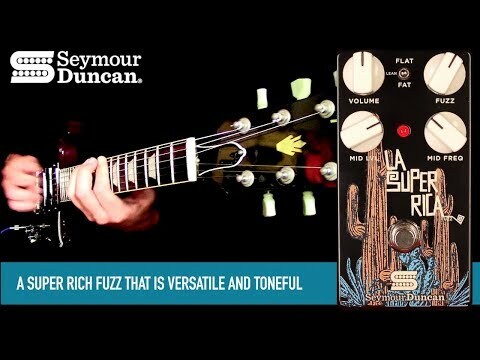 Seymour Duncan's La Super Rica takes the essence of a classic high gain silicon fuzz and adds some very useful midrange control and bass-cut voicing. There's probably not a guitar on the planet that won't love what this fuzz can do. Have a listen to the demo and the little jam-section at the end with a Strat and PRS. 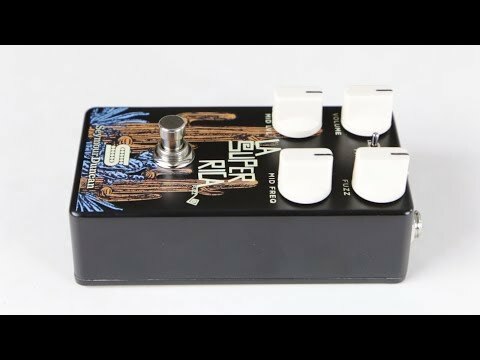 If you're into this style of fuzz, I reckon you'll dig La Super Rica. Super fuzzy, super rich and super cool. 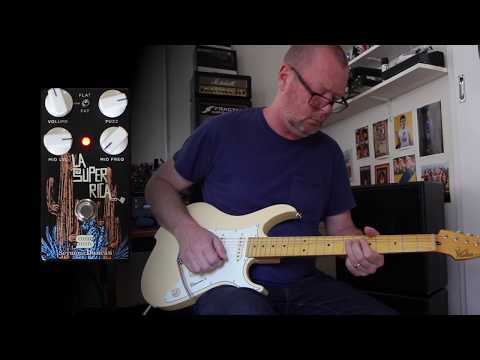 Seymour Duncan's La Super Rica takes the essence of a classic high gain silicon fuzz and adds some very useful midrange control and bass-cut voicing. There's probably not a guitar on the planet that won't love what this fuzz can do. Have a listen to this little jam and see what you think. 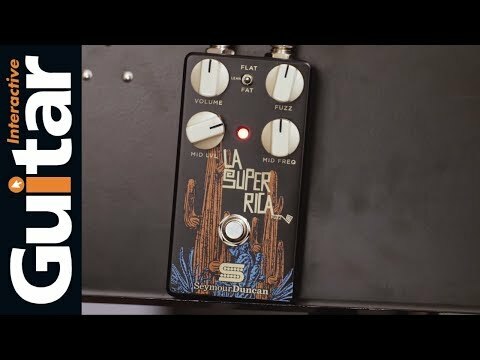 If you're into this style of fuzz, I reckon you'll dig La Super Rica. clean up the tone for a pleasing overdrive like sound. or you need to be heard in a dense mix. famous by the alt rock bands of the late eighties and early nineties. setting for all kinds of heavy music, from desert rock to doom metal.